FRANKFURT -- German authorities involved in raiding Daimler's offices as part of a probe into diesel pollution are talking to authorities in the U.S., the Stuttgart public prosecutor's office said. "We are in contact with U.S. authorities," the Stuttgart public prosecutor's office said on Wednesday, declining to elaborate further about the nature of potential cooperation and whether extensive searches of Daimler's offices in Germany had also been conducted at the behest of requests from U.S. regulators. Stuttgart-based Daimler, owner of the Mercedes-Benz brand, said it was fully cooperating with authorities, and had been in touch with both German and U.S. authorities probing potential diesel emissions violations. "As part of our cooperation with authorities, we have made the same information available to the Stuttgart prosecutor and the U.S. authorities," a spokeswoman for Daimler said. Daimler said it could not comment further given the ongoing nature of the probes. 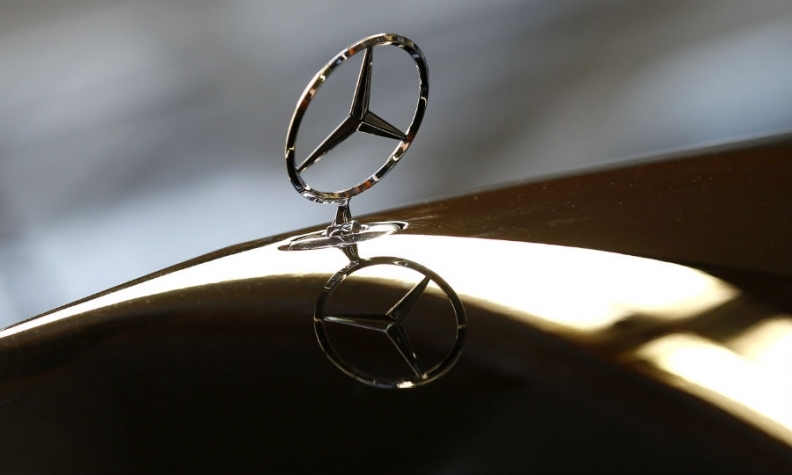 Prosecutors on Tuesday searched Daimler's offices and other premises in the course of investigations "against known and unknown employees at Daimler who are suspected of fraud and misleading advertising connected with manipulated emissions treatment of diesel passenger cars." Earlier this year, Daimler said recent steps by U.S. authorities to investigate diesel-emissions pollution and so-called auxiliary emissions control devices could lead to significant penalties and vehicle recalls. No board member at Daimler has been implicated in the probe, the prosecutor's office said. Some 23 prosecutors and around 230 staff, including police and state criminal authorities, were involved in Tuesday's searches of 11 German sites on the lookout for data files and evidence, the prosecutor's office had said. News about communications between German and U.S. authorities also comes a day after the U.S. government filed a civil lawsuit accusing Fiat Chrysler Automobiles of illegally using software to bypass emission controls in 104,000 diesel vehicles sold since 2014.